Are you, or do you know a friend that is traveling to London using Frequent Flyer points? Better read this. Recently, there has been a flurry of activity on the Qantas Frequent Flyers website as members redeemed their points to take advantage of a loophole which potentially saves them up to $600 in fuel surcharge. It has come about as a result of Qantas' alliance with Emirates, who have a significantly lower fuel surcharge than Qantas. 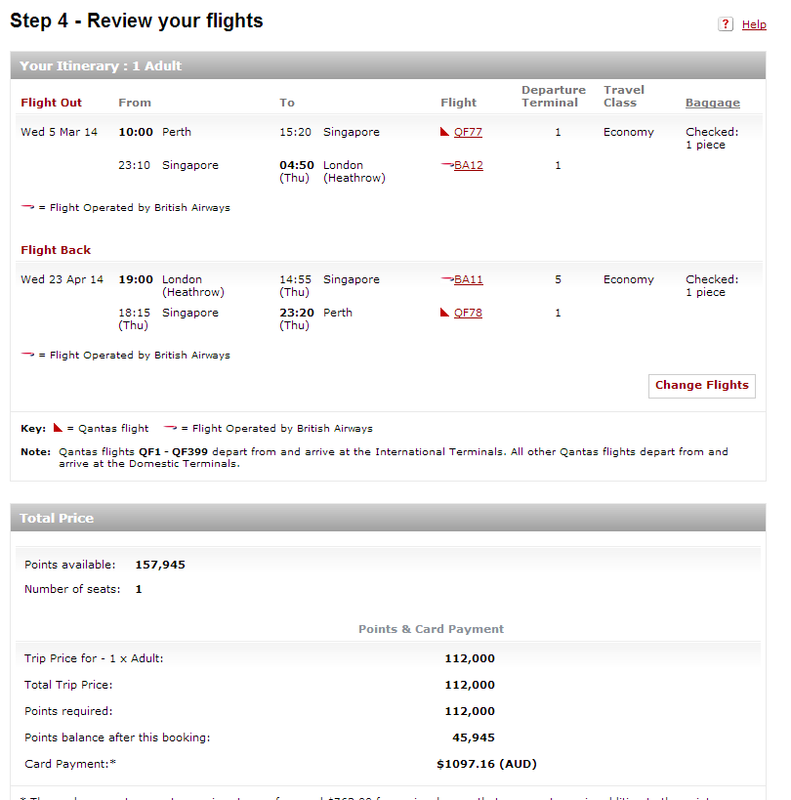 Here is an example of a booking Perth to London on the same day. One booking uses only Emirates flights and the other one uses Qantas and British Airways. Both options cost the same in terms of points with a Perth to London return trip costing 112,000 Qantas Frequent Flyer points in each case. However, when you look at the cost of fuel & taxes, you would be pretty upset if you booked with Qantas and British Airways. 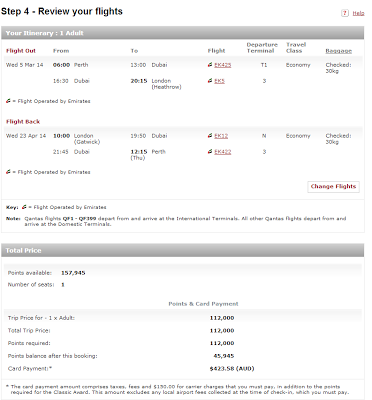 The Emirates flights cost $423.58 on top of your 112,000 points but the Qantas / British Airways option costs $1097.16. 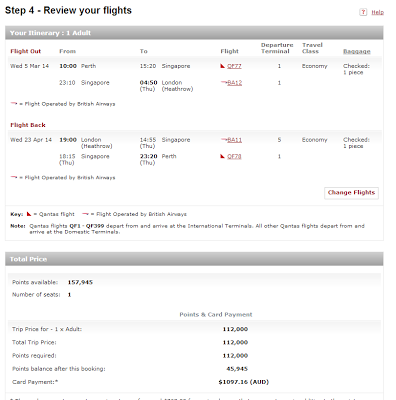 That is a saving of $673.58 just by checking your other options when booking. 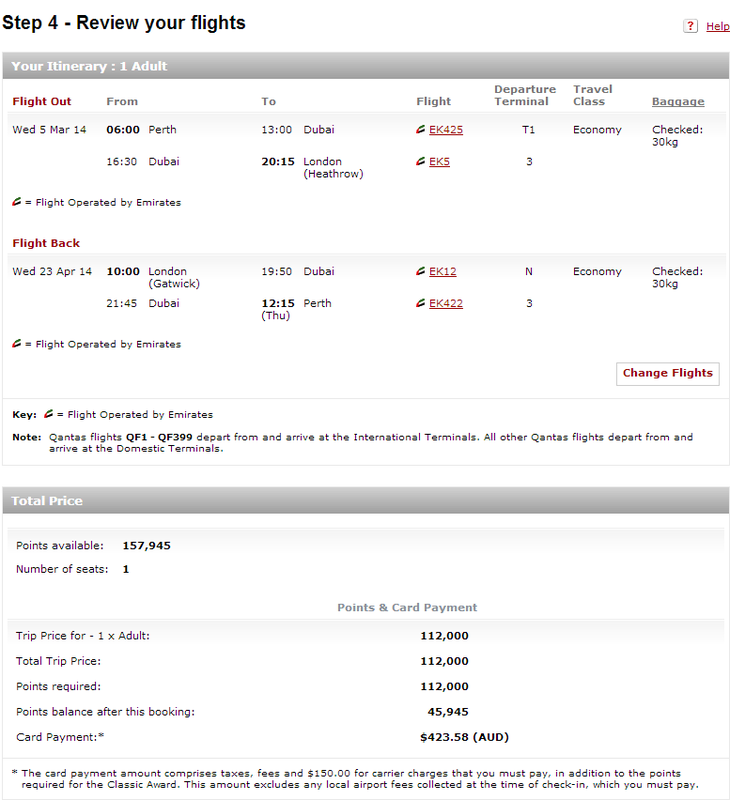 Of course, one flight option goes through Dubai and the other goes through Singapore.